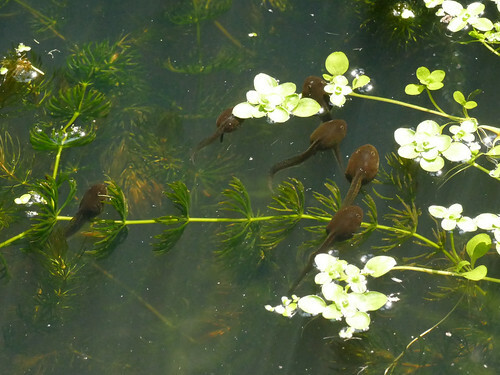 The tadpoles did really well last year, but not so much this spring. 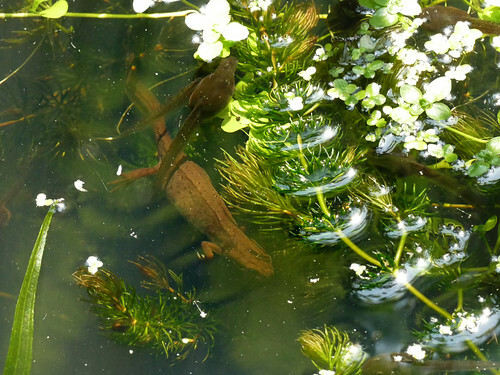 I can't see hardly any at all... a few loners and about a dozen yesterday grouped around the back of one of the pond baskets. 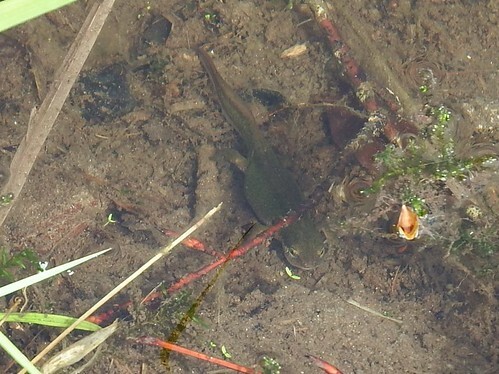 The newts, on the other hand, seem to be outnumbering the tads- I counted five within the space of just a few minutes. I'm keeping fingers crossed a Great Crested appears one day. 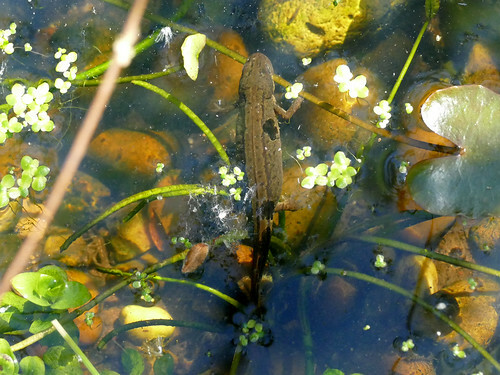 Those are some really good newt photos, Helen- it's good to see yours are flourishing, too. 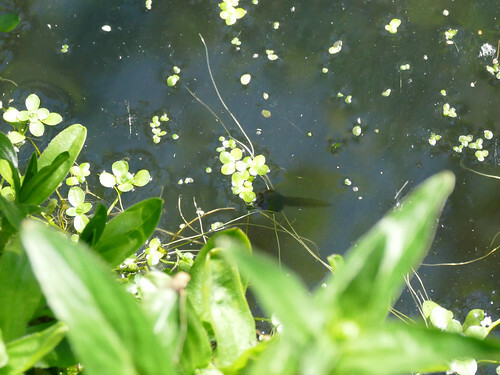 Your water is a lot clearer than ours is! 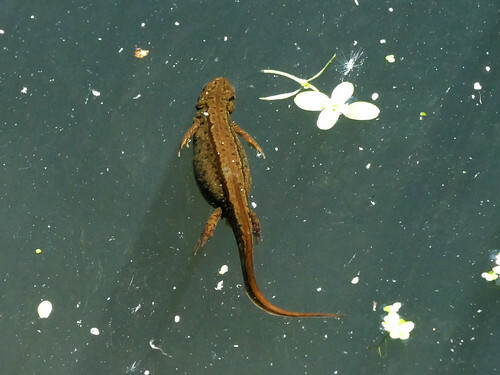 I think a pond-dredging is going to have to be on the list of our autumn chores later this year. 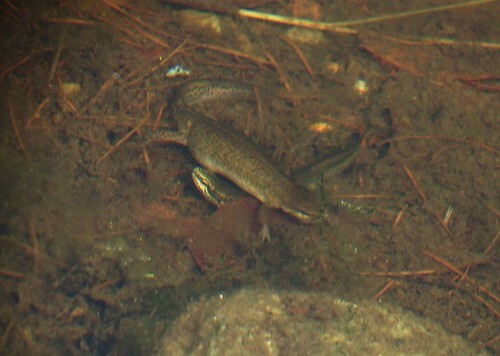 After thinking we weren't going to have many tadpoles at all this year, they seem to suddenly be emerging from hiding places. 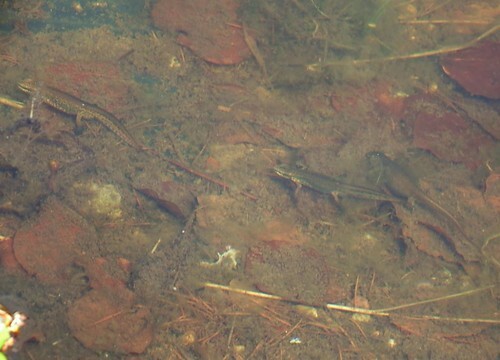 They are too large for the newts to eat now, so they are all swimming about happily together.